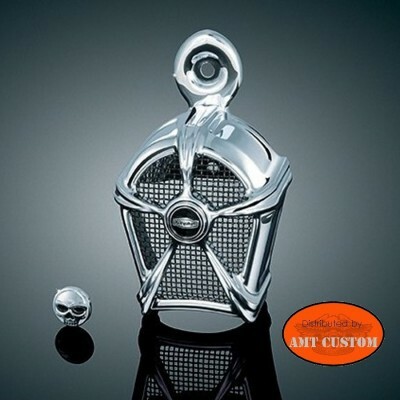 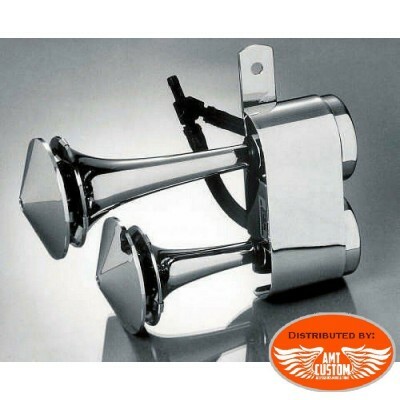 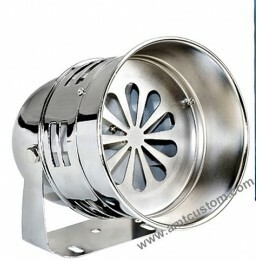 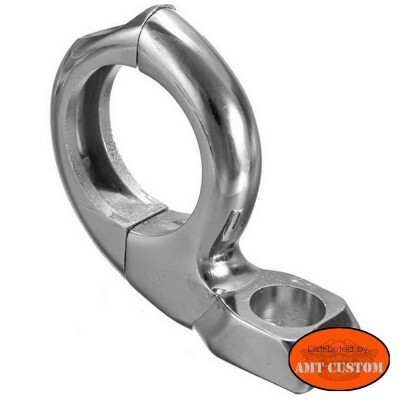 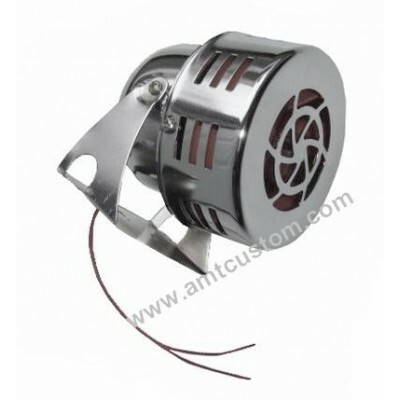 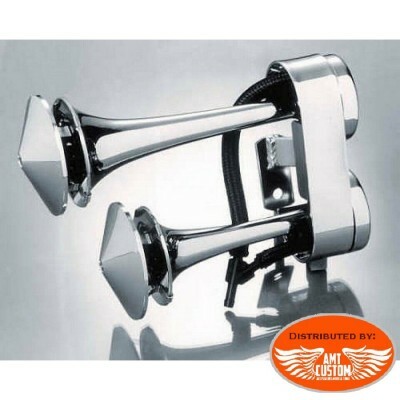 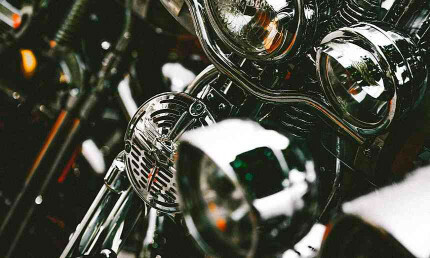 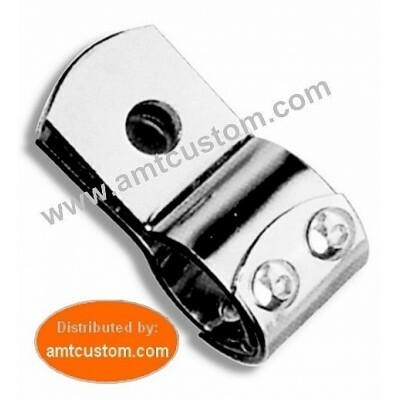 Metal Chrome Horn 12V Custom Motorcycles. 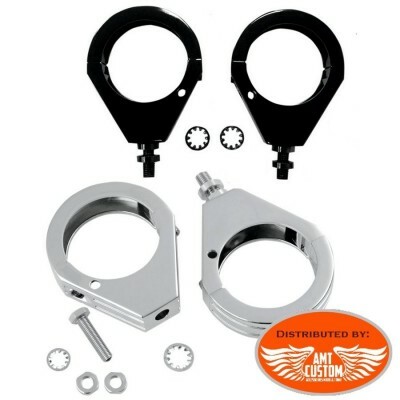 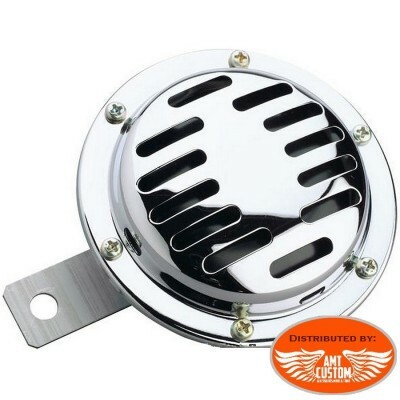 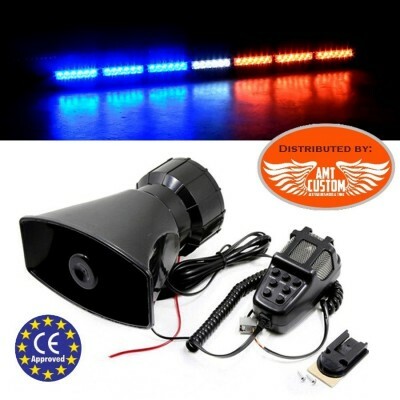 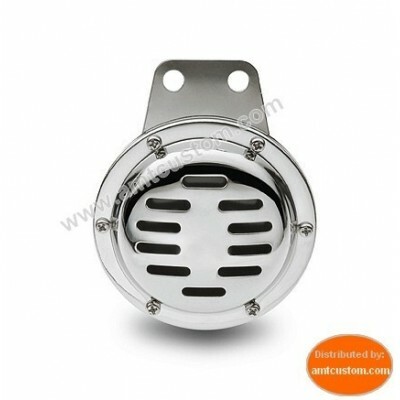 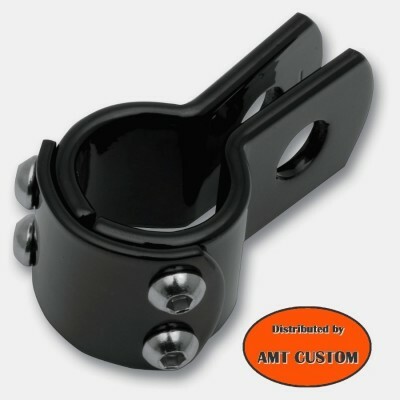 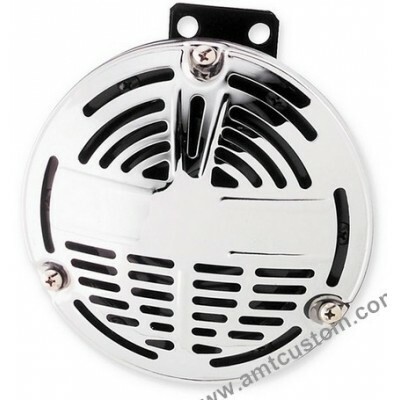 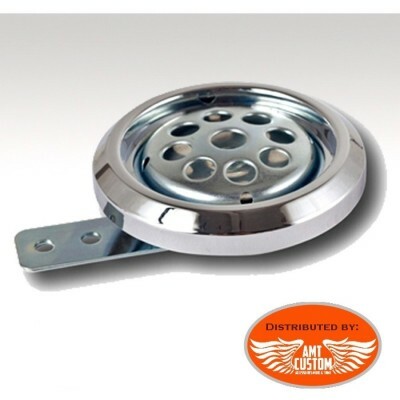 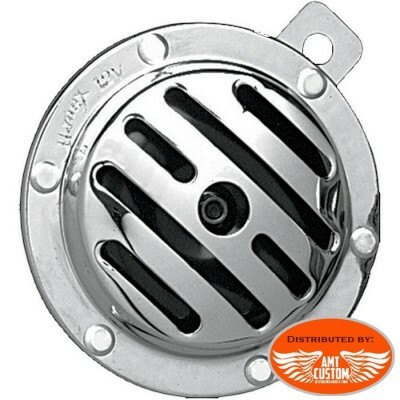 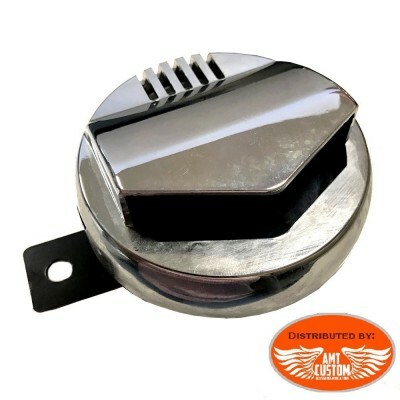 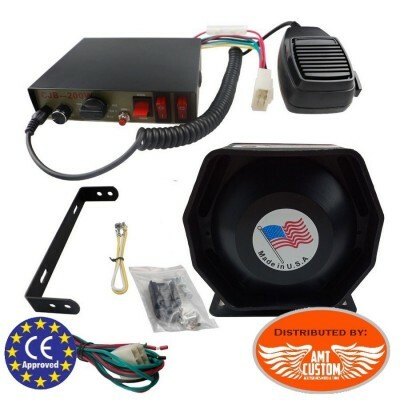 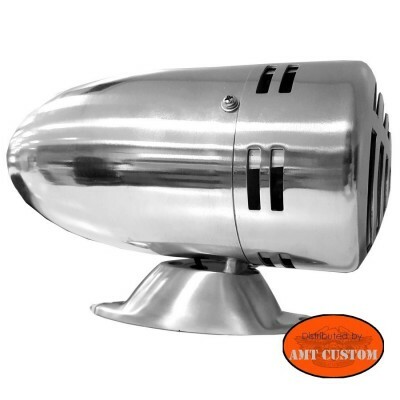 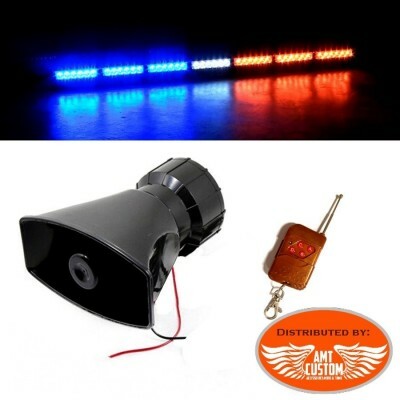 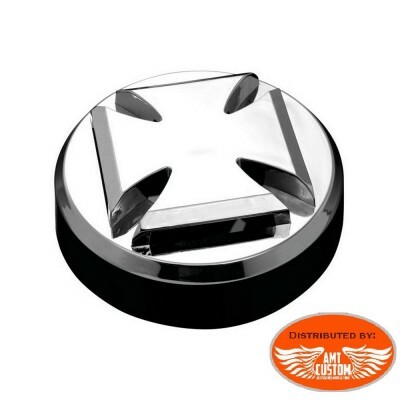 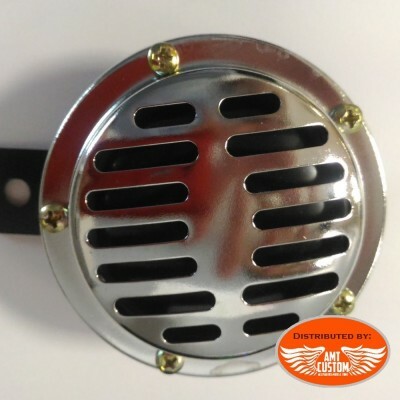 Black siren with push button 6 sounds Compact Siren easy to fit on your motorcycle or trike. 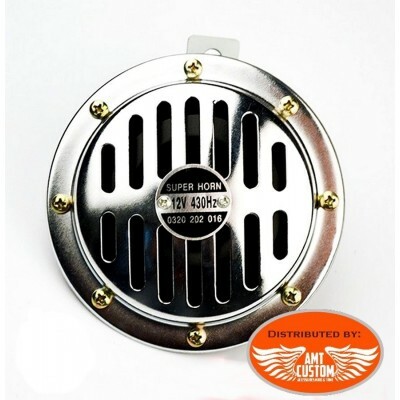 See the " More info" tab and the "Download" tab to discover the different sounds of the siren. 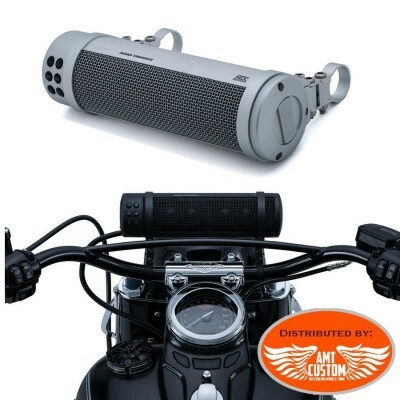 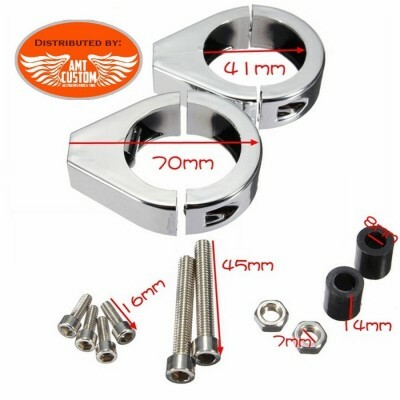 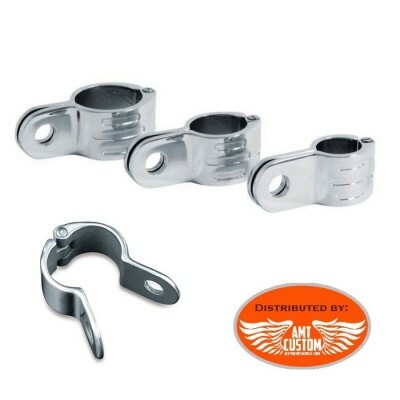 Road Thunder Sound Bar 150W Bluetooth Smartphone for Motorcycles and Trikes - Weather-resistant in accordance with IP66 rating - Universal patent-pending mounting clamp that fits bars from 7/8" in diameter to 1-1/4" - Available in Satin Black or Satin Silver Finishes See TAB " MORE INFO"